TOPIC: Personal Branding — The Key to Your Business' Growth! 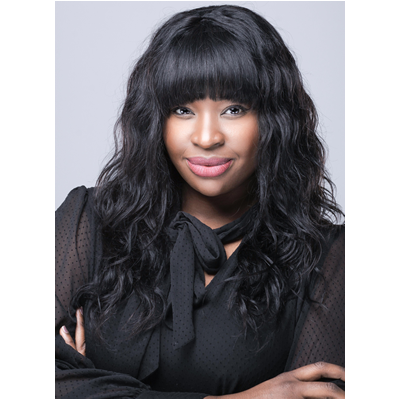 Lydia Pierre, the owner of Pierre Branding Group (PBG) will deliver insightful information about the importance of personal branding and branding for your business or product. Lydia offers, "The brand you build around yourself is perhaps the single most important way you can stand out in your spheres of influence. If you're just beginning to think about your personal brand, it's crucial to understand that personal branding is the means by which people remember you. It's more than a trademark or a stunning logo, it is how you present yourself online and offline to potential clients and customers. Your brand image is what you create to help build your business. Your personal brand centers around you as an individual." ​Through her company, Pierre Branding Group, Lydia Pierre works alongside a team of industry experts as a branding expert and strategist who counsels small business owners, executives, and entrepreneurs in the process of maintaining, improving, and upholding a brand.The brand name is associated with positive results by developing, implementing and executing marketing initiatives and activities so that brand can remain favorable to customers. Lydia authored the book entitled, "The Art Of Branding: A Simple & Practical Guide to Understanding the Branding Process" which is a short and simple guide that answers some of the most frequently asked questions about personal branding and why it's an important piece of any entrepreneur's life today. The book is available on Amazon.com. Strategic4Life is dedicated to the pursuit of strategic living. Our team provides training, coaching, tools, references, and financial opportunities assisting you... to live predictably? to achieve your desired results.